The film grossed US$611,899,420 worldwide and $370,782,930 in the US alone, surpassing any motion picture starring Gibson. In US box offices, it became the eighth (at the time) highest-grossing film in history and the highest-grossing rated R film of all time. The film was nominated for three Academy Awards and won the People's Choice Award for Favorite Dramatic Motion Picture. ^ McMahon, Neil (9 January 2016). 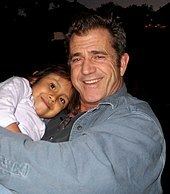 "Mel Gibson doesn't deserve to be hailed as a prodigal son after his misogyny, racism". The Sydney Morning Herald. Retrieved 4 June 2018. ^ Fischer, Paul. "Mel returns to war". Femail.com.au. Trellian. Retrieved 4 June 2018. ^ Yusof, Zack (10 September 2007). "Enter the eco warrior". The Star. Petaling Jaya: The Star Group Berhad. Retrieved 20 June 2018. Hamlet is a 1990 drama film based on the Shakespearean tragedy of the same name, directed by Franco Zeffirelli and starring Mel Gibson as the eponymous character. The film also features Glenn Close, Alan Bates, Paul Scofield, Ian Holm, Helena Bonham Carter, Stephen Dillane, and Nathaniel Parker. An international co-production between the United States, the United Kingdom, and France, the film was the first produced by Icon Productions, a company co-founded by Gibson. The Passion of the Christ is a 2004 American biblical drama film directed by Mel Gibson, written by Gibson and Benedict Fitzgerald, and starring Jim Caviezel as Jesus of Nazareth, Maia Morgenstern as the Virgin Mary, and Monica Bellucci as Mary Magdalene. It depicts the Passion of Jesus largely according to the Gospels of Matthew, Mark, Luke and John. It also draws on pious accounts such as the Friday of Sorrows along with other devotional writings, such as the reputed Marian apparitions attributed to Blessed Anne Catherine Emmerich. Apocalypto is a 2006 American epic adventure film co-produced, co-written and directed by Mel Gibson. The film features a cast of Native American and Indigenous Mexican actors consisting of Rudy Youngblood, Raoul Trujillo, Mayra Sérbulo, Dalia Hernández, Ian Uriel, Gerardo Taracena, Rodolfo Palacios, Bernardo Ruiz Juarez, Ammel Rodrigo Mendoza, Ricardo Diaz Mendoza and Israel Contreras. Similar to Gibson's earlier film The Passion of the Christ, all dialogue is in a modern approximation of the ancient language of the setting. Here, the Indigenous Yucatec Maya language is spoken, with subtitles, which sometimes refer to the language as Mayan. This was the last film Gibson directed until 2016's Hacksaw Ridge ten years later. 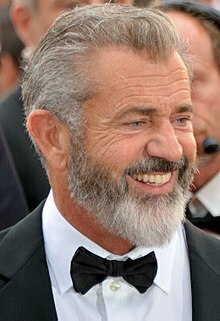 Mel Gibson, AO, is an American actor, author, director, producer, and filmmaker, who made his acting debut on the Australian television drama series The Sullivans (1976–1983). While a student at the National Institute of Dramatic Art in Sydney, he was given an uncredited role in I Never Promised You a Rose Garden and subsequently appeared as a leading actor in the micro budget surf drama Summer City. Gibson rose to prominence during the Australian New Wave cinema movement in the early 1980s, having appeared in his breakthrough role in George Miller's dystopian action film Mad Max (1979), portraying the eponymous hero. He reprised the role in its sequels, Mad Max 2 (1981) and Mad Max Beyond Thunderdome (1985). He appeared in Peter Weir's war drama Gallipoli (1981) and the romantic drama The Year of Living Dangerously (1982). 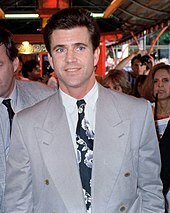 Five years later he played Martin Riggs in the buddy cop action comedy Lethal Weapon alongside Danny Glover—a role he later reprised in its sequels Lethal Weapon 2 (1989), Lethal Weapon 3 (1992), and Lethal Weapon 4 (1998). 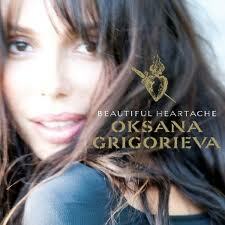 Beautiful Heartache is a 2009 music album by Russian pianist and singer-songwriter, Oksana Grigorieva, with Mel Gibson as executive producer. Born in Saransk, Russia, Grigorieva studied music in Moscow and Kazan, and at the Royal College of Music in London. She later moved to the U.S. and patented a technique of instructing music notation to children. Grigorieva gained attention as a songwriter in 2006 after a song that she wrote, "Un Dia Llegara", became popular on the Josh Groban album Awake. The Professor and the Madman is a biographical drama film, directed by Farhad Safinia, from a screenplay by Safinia, and Todd Komarnicki, based on the 1998 book The Surgeon of Crowthorne by Simon Winchester. It stars Mel Gibson, Sean Penn, Natalie Dormer, Eddie Marsan, Jennifer Ehle, Jeremy Irvine, David O'Hara, Ioan Gruffudd, Stephen Dillane, and Steve Coogan. Hacksaw Ridge is a 2016 biographical war film, directed by Mel Gibson and written by Andrew Knight and Robert Schenkkan. Starring Andrew Garfield, the film focuses on the World War II experiences of Desmond Doss, an American pacificist combat medic who was a Seventh-day Adventist Christian, refusing to carry or use a firearm or weapons of any kind. He became the first conscientious objector to be awarded the Medal of Honor, for service above and beyond the call of duty. It was released in the United States on November 4, 2016. The film was released to positive reviews, with a Rotten Tomatoes approval rating of 87%, based on 223 reviews, and an average rating of 7.2/10. Metacritic lists a score of 71 out of 100, based on 47 reviews. 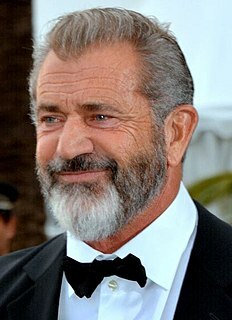 This is a list of awards and nominations received by actor and filmmaker Mel Gibson. Gibson is best known as an action hero, for roles such as Martin Riggs in the Lethal Weapon buddy cop film series, and Max Rockatansky in the first three films in the Mad Max post-apocalyptic action series. 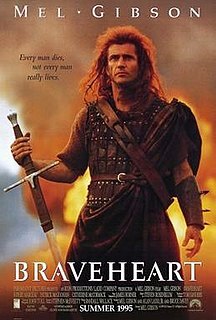 He produced, directed, and starred in the epic historical drama film Braveheart, for which he won the Golden Globe Award and Academy Award for Best Director, along with the Academy Award for Best Picture. He later directed and produced the financially successful and controversial, biblical drama film The Passion of the Christ. He received further critical notice for his directorial work of the action-adventure film Apocalypto, which is set in Mesoamerica during the early 16th century. 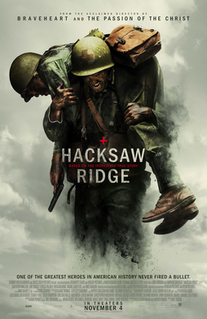 After a 10-year hiatus from directing, Gibson returned with the critically praised and financially successful Hacksaw Ridge, which won the Academy Awards for Best Sound Mixing and Best Film Editing and earned Gibson his second nomination for Best Director.